Pvt. Herald K. Branson, son of Mr. and Mrs. H. A. Branson, graduated from Chattanooga High School, Tenn. 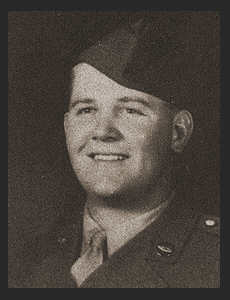 Entered the Army in Aug. 1943, trained in Ft. Knox, Ky; served in England, France, Germany and Belgium, where he was killed in action Dec. 1944. Awarded the Purple Heart, ETO Ribbon and three Battle Stars.